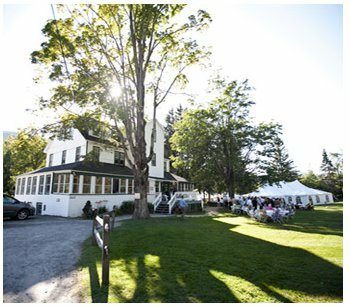 Full Moon Resort has been hosting and catering wedding celebrations in the Catskill Mountains since Spring 2001. After many of those events, satisfied clients have published online blogs, photographs and videos of their event. This page is dedicated to those online publications. Selections have been arranged by year and season. Please note that links will open in a new window tab. 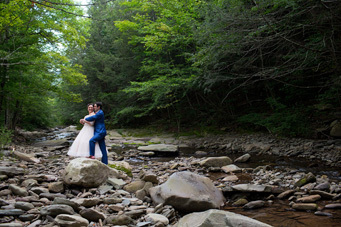 "12 Romantic Real Wedding Photos That Are So Full Of Love"
A red-tailed hawk soared high overhead, as the gentle waters of the Esopus Creek spilled over moss-covered rocks in the distance. The mountains rose up all around. 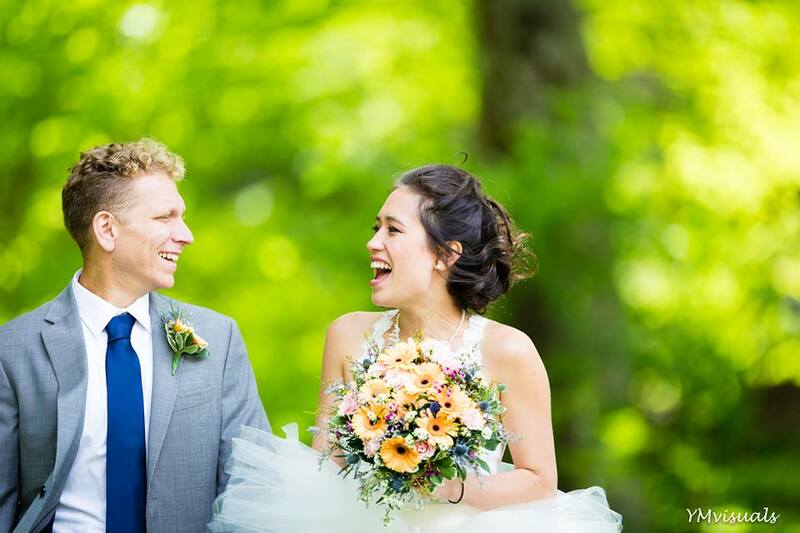 "Their day was truly special, filled with love, laughter and tears ...it was an absolute joy to capture the love and laughter of your beautiful summer wedding..."
"We always enjoy shooting weddings on the Catskills and the Hudson Valley. Nature there is absolutely stunning and the air feels so clean compared to the city." "...such beautiful, photojournalistic wedding images..."
"They had a beautiful mild summer day for their wedding, and maxed out the venue with their friends and family for the entire weekend. We loved the energy of their wedding. Photographing and filming their day was so great! " "Two beautiful brides, Heather and Jaclyn, got married on a beautiful day in the Catskills at Full Moon Resort in Big Indian, New York. It was an amazing time!" "Full Moon was the perfect, all-inclusive, destination wedding resort; and Karla working with the amazing Gina Maloney, everything came together perfectly! Cheers to Karla & Brendan!" "Whew, what a couple. Equal parts profound, spiritual, playful and kind. We'd known them for quite some time and are so lucky to call them our dear friends. Tara actually sang in our wedding and has the most exquisite Appalachian-woman voice. Like her voice, their love is infectious, unique and inspiring. They'd been together for 10 years (Facebook let them know last month) when they got married and you can sense the foundation they've forged over many cities, states and lives together. They are truly a couple we admire!" "Traditionally, the groom enters the wedding atop an elephant, called at Baraat. In lieu of an elephant, though, Jonathan proceeded in a VW, equipped with paper-mache ears, eyes and trunk! Even though there weren't many leaves on the trees up in the mountains, their day was filled with color and liveliness." 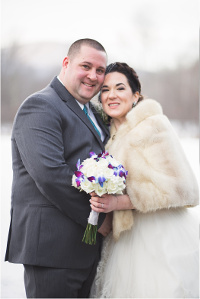 ... joyful, soulful, and love-filled wedding..."
"..Winter wedding weekend...the weather was perfect (and relatively warm!) but there was still enough snow to make it just magical! All in all, it was a perfect day, for a super sweet couple." 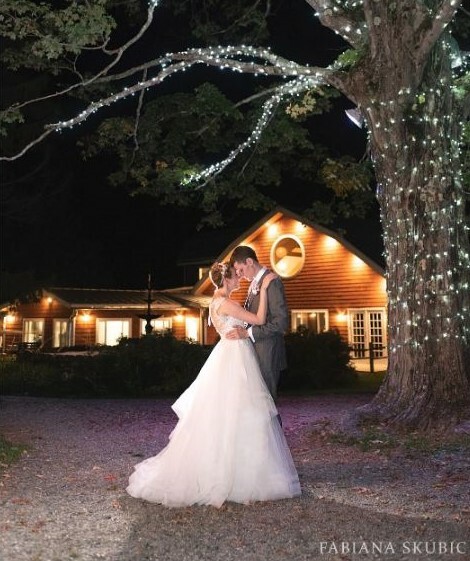 "After the vows were exchanged, the first kiss passionately planted, and drinks were downed to warm the chilly guests, Sam and Matt and all of their VIP danced the night away inside the cozy barn, which absolutely glowed with their joy and gratitude." "When we went to scout out possible photo locations at Full Moon Resort we fell madly in love. It was a relaxed and scenic drive into the Catskill Mountains and completely worth the journey. 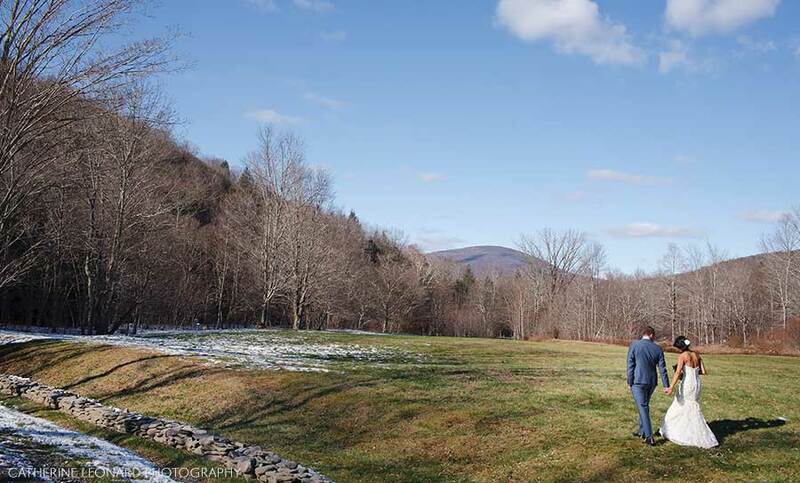 We are talking fields of wildflowers, woods, and boulder filled stream that runs along the property, the wood barn reception space, numerous cabin-like & historic home accommodations, the list goes on and could not be any more beautiful." 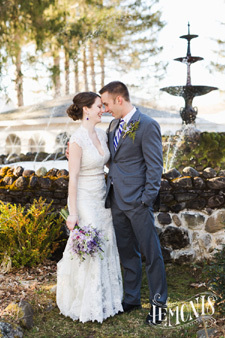 "
"This wedding day gave me all the feels and reminded me of why I LOOOOVE my job! 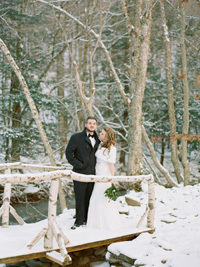 ...a weekend away in the woods at one of the most picturesque Catskills wedding venues! Lauren and her besties bought flowers from the market and made all of the arrangements themselves!" "We love working at the Full Moon resort! It's such a great unique venue with so many places around the property that are perfect for photos. Not to mention Katherine's dad brought the coolest car to "walk" her down the aisle. Everything about their wedding day was straight out of a bridal magazine. The tent at the Full Moon resort is always decorated with beautiful lanterns which were complimented with the different styles of flower vases. 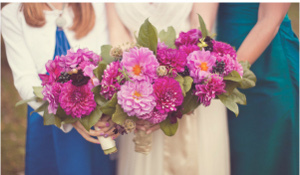 We are loving that flower trend this year! My favorite part of the night took place on the dance floor. Everyone had a blast and there was even a break dancing competition!" 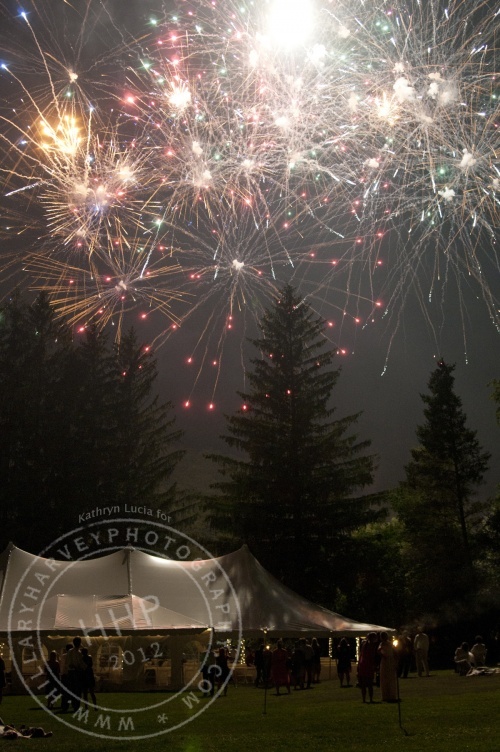 "This one had all the correct ingredients - Amazing people, amazing location in the mountains, a relaxed timeline, and an absurdly fun reception." "The Full Moon Resort was the site of a remarkable Monday Wedding. Aperture Photography was so happy to capture all the wonderful moments. Besides the normal family formal I shot in a photojournalistic style. People came from as far as Peru and Washington State. After a week of rain the skies cleared and the sun danced off the new grass. It was a perfect day and I have never seen the beautiful Full Moon Resort look better." " This weekend was an absolute DREAM! Not only did I get to witness a beautiful marriage between two friends but I also got to document all the beautiful moments as they unfolded. 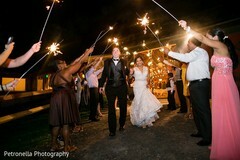 Christian and Janine's Full Moon Resort Wedding was one for the books! This place is GORGEOUS!" "I love the mossy, wooded portraits from this day!! Everything was very lovely and a pleasure to capture!" Check out the hot air balloon! 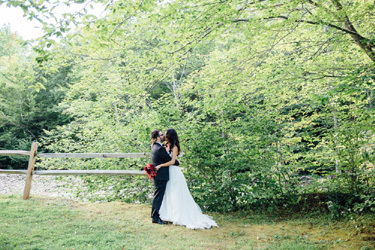 "This summer, I traveled to the Catskills for the wedding weekend of Ashley & Mi. The two of them worked so hard to DIY their way to a perfect, heartfelt and joyful weekend filled with an amazing amount of personal details. The Full Moon resort was the perfect spot to bring together friends & family from all over to celebrate and enjoy all of the fun activities planned by Ashley & Mi. There was a campfire singalong, marshmallow roasting, and an outdoor yoga class led by one of Ashley's bridesmaids. I felt a little like I was at summer camp instead of working!" 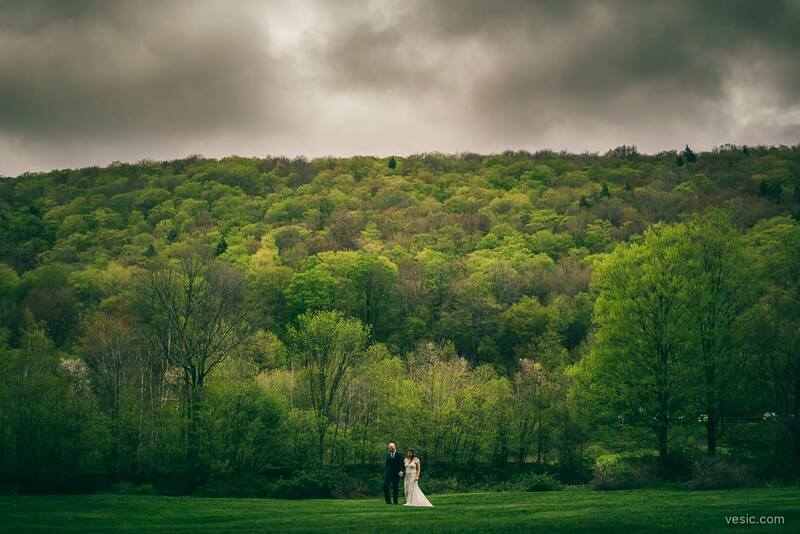 "Adrian and Ben chose to get married in a beautiful area of the Catskill Mountains at a wonderful wedding venue. We can't praise enough the goodness of the Full Moon Resort. The installations are amazing, with guest houses and beautiful barns and the landscape is just gorgeous, with charming creeks and open green fields." "This wedding at Full Moon Resort was just one of those days that gives me such a sweet reminder at how lucky I am to do what I do. 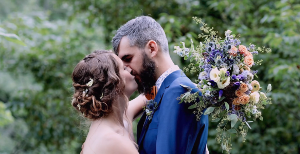 This intimate outdoor wedding was the perfect way to spend a Saturday, and if you ever want to know how to party, grab some musicians and let 'em loose in the woods." 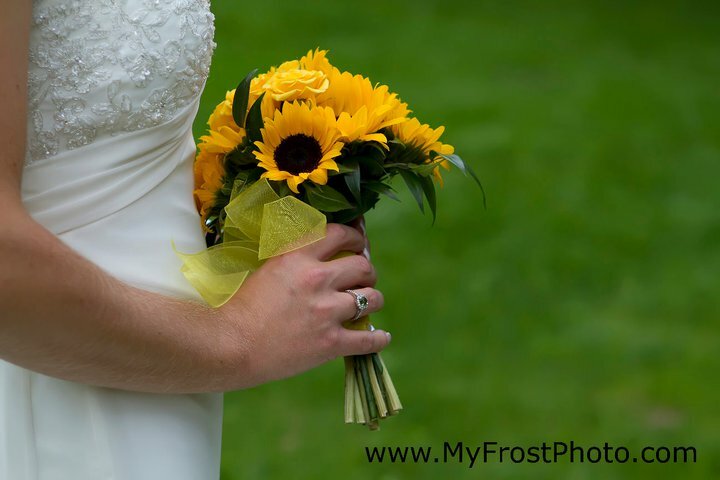 "A fantastic wedding I had a blast photographing! A wedding that made me want to get married all over again because I just fell in love with the venue and wanted to do it there....Everything about this wedding was so beautiful and just oh so pretty and special!" 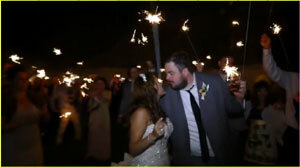 "Jessica and Evan had a spectacular wedding... We spent the entire weekend with them starting with a welcome dinner and bonfire Friday night with story telling ... The amount of love between the couple and their families filled the weekend." 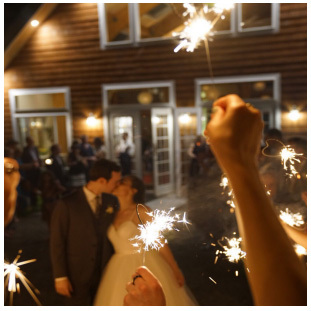 "Barbara and Gerard's Wedding in the Catskills at Full Moon Resort was a blast. Full Moon is one of my favorite places to shoot. 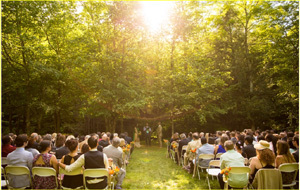 An amazing place for a wedding, it's in the heart of the beautiful Catskills and there's no cell service so guests like the ability to disconnect and be completely present....."
"...On the wedding day, the couple stood in the sun-dappled section of a wooded grove before a clear stream.... Later, on the dance floor, the newlyweds stood facing each other shyly. Bird song emanated from the trees...."
"I had an EPIC time sharing the day (and night) with Dana, Justin and their amazing crew. As I remember, almost everything you can think of that could happen, did. We had sun, got rained on,....., many drinks, lots of dancing, crowd surfing, tears, laughs, broken things, guitars, singers, fireworks, and lots of love! I was treated like family, and that means the world to me. Dana & Justin, you are amazing people! Cheers to the incredible memories you allowed me to capture!" 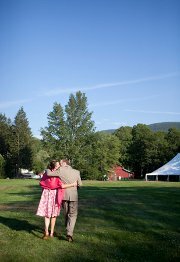 "...favorite photos from a beautiful wedding in the Catskills." "The late Fall of November is a beautiful time to have a wedding, especially with a bride and groom who love each other as deeply as Kelly & Cory does. 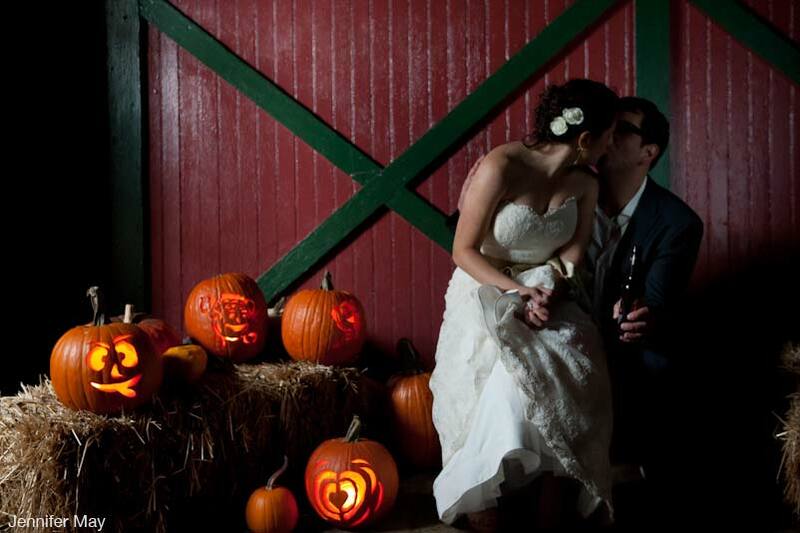 From cobwebs, corpse brides and a groom decked out as Jack Skellington, this fun loving bride and groom had a spooky but definitely amazing Halloween themed wedding at Full Moon Resort, nestled high in the Catskills in Big Indian, New York. " "The bride and groom braved the chill air ... luckily the resort has some great indoor locations and various outbuildings for photography, including a rustic barn that hosted the cocktail hour....."
"Shannon and Danny got married on a beautiful day of Fall... All the area is amazing and even more in this time of the year when the foliage turns the trees into breathtaking oranges and reds. The decor was beautifully designed matching these tones...."
"Colleen and Marko not only threw an amazing wedding but they put together a 3 day getaway for their friends and family... of after parties, brunches, and BBQs to celebrate the joining of their families....their love for each other shined right through every last detail." "Despite all the months and years of planning that often go into weddings, some manage to look totally effortless, as if 200 people just showed up to a field and had a dance party. Completely unpretentious, unfussy, and a total blast. 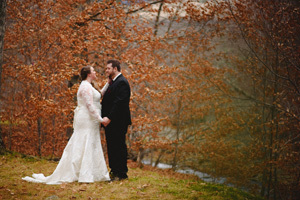 And, Christine and Robert's nuptials are the perfect example..."
"The grounds were carpeted in fallen leaves, the crisp cool autumn air chilling your lungs with each inhale, the colored mountains surrounding us as if right out of a Bob Ross dream." "What can I say?! This wedding was a stunner! Malaina & Brian clearly have great taste as everything looked awesome! The floral centerpieces, complete with feathers, the little, golden animals that accompanied the seating cards, Malaina's floral head piece... everything came together perfectly for this Autumn wedding!" "What do you do when your wedding day, a day that you have been planning months, suddenly calls for rain? 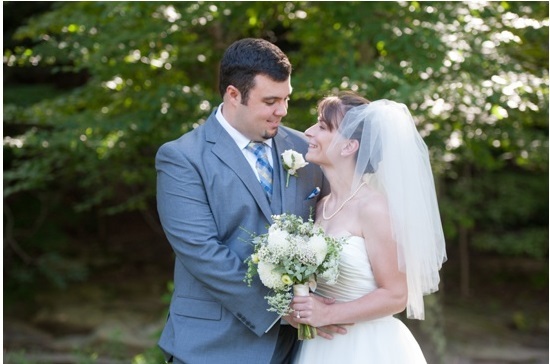 You make the best of it and that's exactly what Erin and Kevin did!... 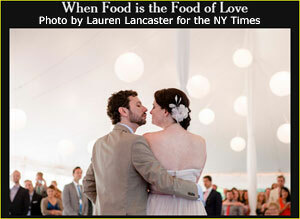 They held their wedding reception at the lovely Full Moon Resort in the Hudson Valley. For their portraits, the newlyweds came prepared with a pair of Hunter wellies and borrowed a clear umbrella. I have to say that the rain adds a bit of a romance and playfulness to their images that I truly love so much. Inside the tented reception space, it was beautifully decorated with warm fall hues, sunflowers in the centerpieces and of course, lots of love.... even though it rained throughout the entire day, it was completely beautiful! " 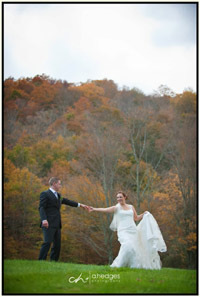 "Amanda and Marc had such a fun wedding at Full Moon and it is just beginning to be fall, so she got to use fall colors. 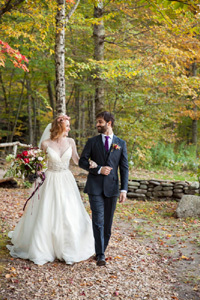 There is nothing prettier than a fall wedding." 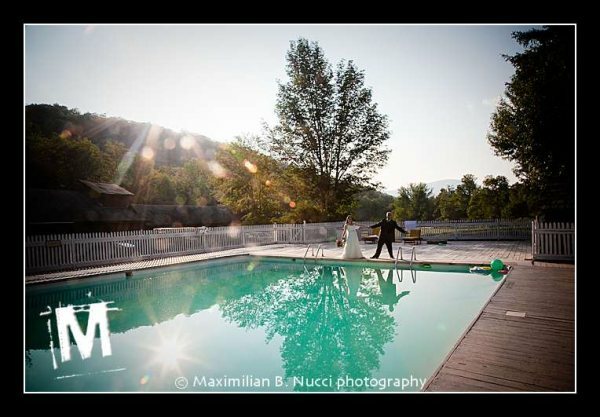 "We love shooting weddings at Full Moon Resort. Even though it's the same venue each time, the couples are all so different that each wedding ends up feeling fresh and new. Sarah + Jeff's was no different. They had a wonderful mix of Jewish and Indian traditions weaved throughout the day. Bright colors, lots of laughter, fantastic friends and family and a laid back attitude that was right up our alley. Watching Sarah's face light up when she saw Jeff for the First Look is something that every Groom should be so lucky to see. We are so glad that they honored us with photographing their wedding. Best of luck in all you do lovebirds!" 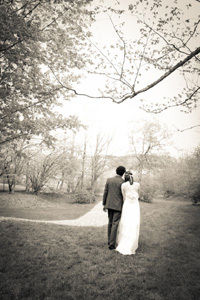 "Nirmala and Ian's (wedding) was an undiluted celebration of love in its very purest form." 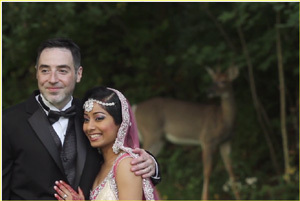 "... picturesque venue for this Hindu-Jewish fusion wedding in New York!" 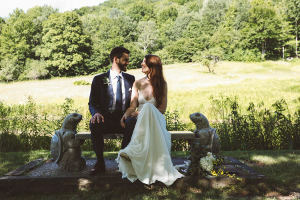 "A romantic upstate wedding in the Catskills. 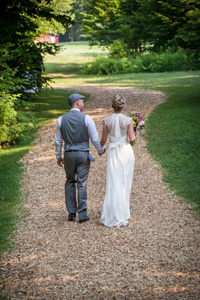 A beautiful barn wedding full of laughter and joy... sometimes it's just wonderful to leave the concrete behind and head upstate into the woods..."
"Karen and Cory were married in a little field under the shade of the trees in a very beautiful ceremony. The music of the Beatles played on guitar and mandolin filled the air as everyone waited for her to walk down the aisle. After the ceremony we had some time for pictures and then we headed in to the beautiful tent on the grounds for the reception. It was such a great wedding and I'm so happy for Karen and Cory. " 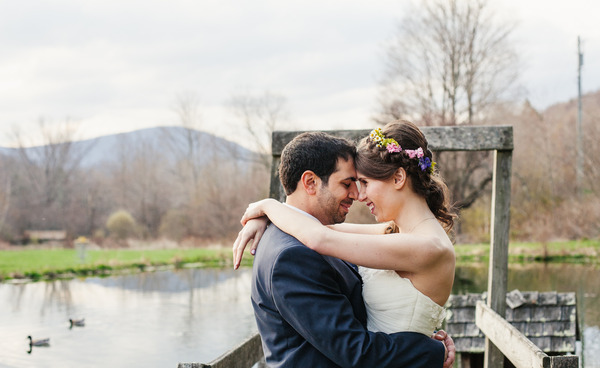 "Joanna and Isaac's...wedding was a perfect wedding day in the Catskills... I could tell by everyone's energy that it was going to be an amazing day. The threat of rain prevented them from having the ceremony in the lower grove but what they may have missed in terms of scenery they more than made up for with their heartfelt vows. The reception was a great dance party with the John Bates Band rocking the party late into the night... "
" I was so happy when Emily and Ryan hired me to photograph their wedding at Full Moon Resort. I had such a great time meeting with them and their families during our initial consultation and we were both totally on the same page in terms of absolutely loving the aesthetic of Full Moon Resort. 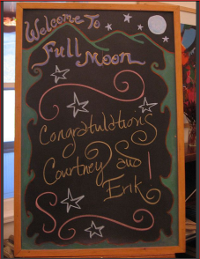 What made it somewhat different for me was that my own wedding was going to be held at Full Moon Resort the week before! 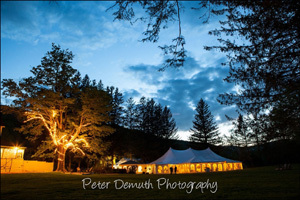 Full Moon Resort is a beautiful wedding venue tucked in the Catskill Mountains. The natural beauty there is breathtaking. I really love the early spring as well because it's getting warm and everything is beginning to bloom and come back to life after the coldness of winter. It's really quite beautiful! Emily and Ryan are such an awesome couple as well. It's so apparent that they have such a strong network of family and friends and it was great to witness and be a part of." "The epitome of spring in every way, Eden & Nicholas's May wedding incorporates peach hues, wildflowers, floral crowns, and two sweet pups to sweeten the deal. These two incorporated close friends to officiate their wedding, as well play guitar during the ceremony, and those personal touches shine through in every single image of the day." 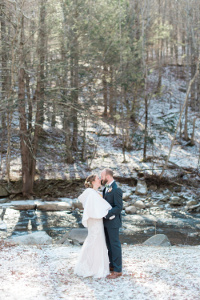 "It was a snowy New Year's Eve in the Catskills, and Alex & Rich were excited to be exchanging vows with so many friends and family surrounding them. There were so many special moments. Friends and family shared their talents of music, dance, and storytelling. Surprises were in store for them as well. Alex wrote a song for Rich, and performed it for him at the reception. At the stroke of midnight, there was a fantastic salsa band that no one knew about but the bride and groom... "
" A winter wedding can be so spectacular. Mary and Bill joked about the possibility of a snowstorm on their wedding day in the Catskill Mountains of New York... And it snowed. Hard. Began early in the day and continued through the night... The staff made sure everyone was able to get around the grounds. There was plenty of warmth from friends and family. 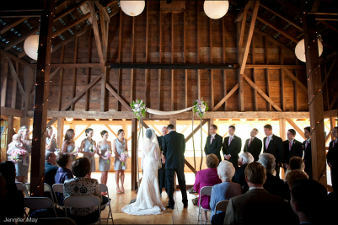 The warm spaces around the inn and for the barn wedding reception enveloped everyone. 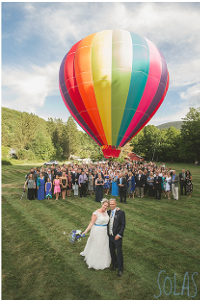 Mary and Bill had the perfect world created for just them and their assembled guests, thanks to The Full Moon Resort"
"What do you get when you mix snow, mountains, a pair of love birds and a big Irish family... one AWESOME wedding." 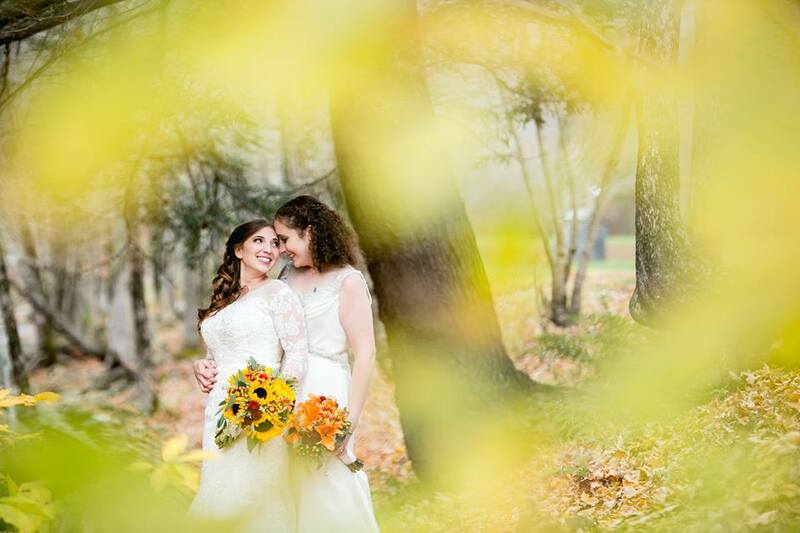 "Susan and Jana married in style on a brisk autumn day at the beautiful Full Moon Resort in Big Indian, NY, nestled in the Catskills. It was a fabulous way to spend my last wedding of the season. I hope you enjoy their sneak peek!" "Tonya and Steve are two of the sweetest people we have met in a long time. They are totally perfect for each other and it shows in every moment that they are near one another. 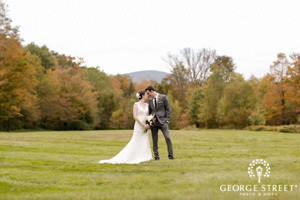 They decided to have an early Fall wedding at one of our favorite places... The property has several houses and cabins, a few barns, a river that spins its way through the big fields, many fountains and plenty of ways to make your wedding different from the next. Tonya's Dad and Steve built a beautiful arbor for them to get married under. It was made from gorgeous timbers and was such a beautiful, thoughtful touch. 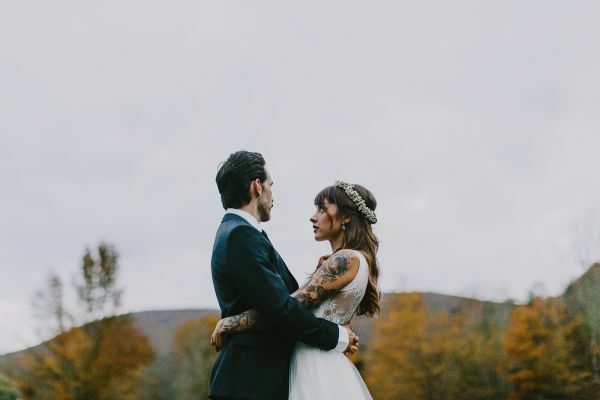 We loved being a part of their amazing day..."
"The most picturesque fall day in the Catskills... it really couldn't have been more perfect... A weekend affair of food, family, friends all there together to celebrate Luke and Kate... 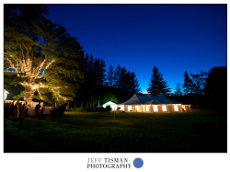 I was thrilled to the core when I was asked to photograph this wedding at The Full Moon Resort in Big Indian New York. The drive was amazing- winding through the mountains and the country, passing through Woodstock. The trip itself was an experience and it set my mood for the day. Laid back, full of love and simply gorgeous would pretty much sum it up!" 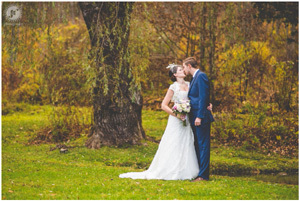 "Are you ready for a beautiful barn, gorgeous golden leaves & an adorable couple? I know it sounds almost too perfect to be true, but Erin & Craig's wedding had all of this. And more!" 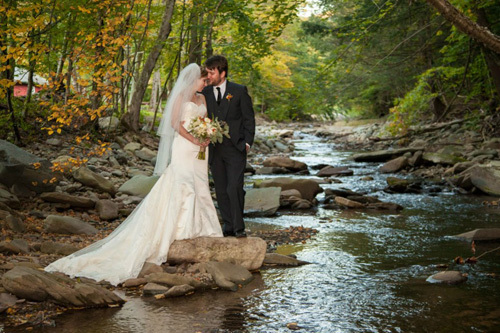 "... beautiful, Autumn wedding at the rustic Full Moon Resort in the Catskill Mountains. The day was perfect, from the warm weather to the vibrant fall colors dotting the many breathtaking views. Jimmy & Alex are an adorable couple that celebrated their marriage surrounded by loving friends & family ... who also happened to be enthusiastic party goers! 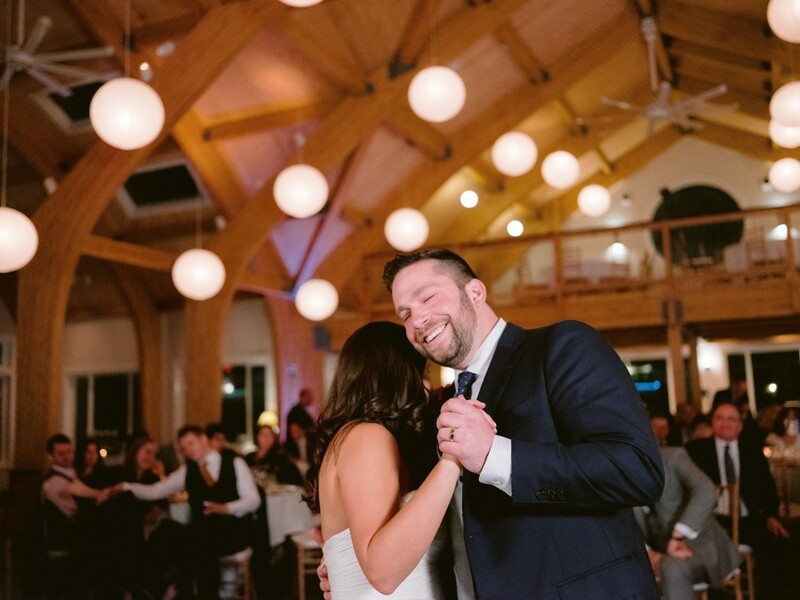 There was steady dancing throughout the dinner portion of the reception and the fun continued late in to the evening at a rustic, lodge after party." "Sometimes it just takes thoughtful people from Brooklyn to really see how awesome a Hudson Valley space can be. And with Full Moon Resort, there's such an expanse of awesome to see! That's why Fran and Steve decided to show it off to their guests by scheduling their wedding events all over the grounds. " 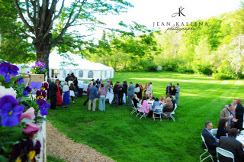 "Erin and Kieran ... chose to have their wedding in the Hudson Valley which is a wonderful testament to what an amazing place the Hudson Valley is to have a wedding. They chose Full Moon Resort as their venue, which was the perfect choice for them, as it allowed them an entire weekend of festivities, and an after party which Rocked! This fun-loving couple are hikers and mountain climbers..."
"on a warm summer morning i drove up to big indian new york to spend the day with meggie and frank. you can tell right from the start meggie and frank are just the most warm hearted people you'll meet. i immediately felt so comfortable and welcomed by them and their families." 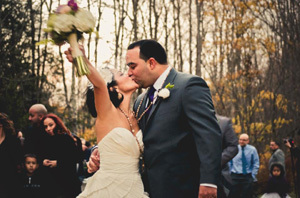 "Sara and Leo wanted a wedding that was distinctly separate from the urban jungle where they live (ie Brooklyn). 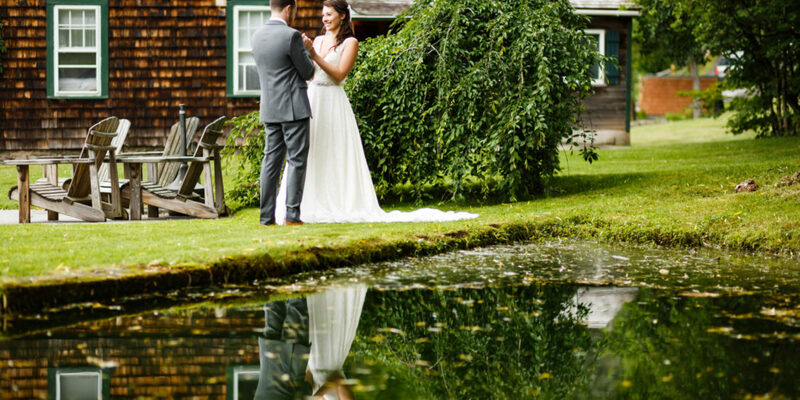 The Full Moon Resort in the Catskills was the perfect spot for a nature inspired wedding full of spiritual and personal touches." "They've known each other since they were kids... It was a sweet, chic wedding at the Full Moon Resort." 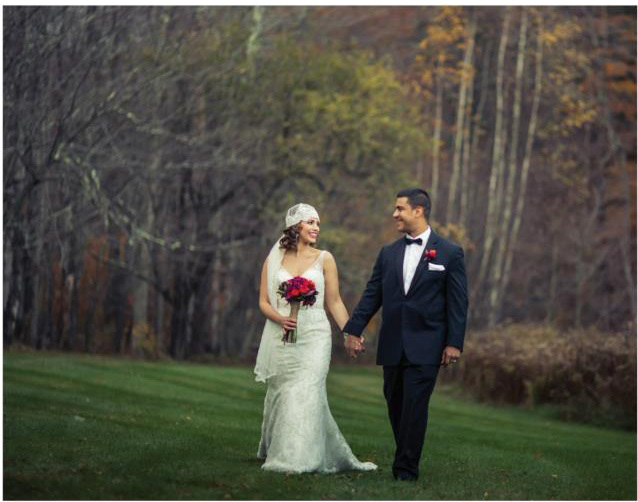 "Congratulation to Sienna and Steven on their epic Catskills wedding at Full Moon Resort in Big Indian, New York." 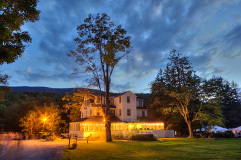 "The Full Moon Resort in the Catskills of New York is touted as a "world of its own." 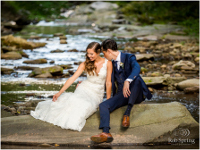 With the serene trickling of the Esopus Creek and the tall trees enveloping the grounds, it created that picturesque, otherworldly escape Sierra and Zack dreamed of for their wedding day..."
" Scott and Catie have quite a story. They married in NY, but traveled from their home in Vietnam to be here. Both teachers, they met in Guatemala and worked together for a year. Scott went to Colombia next, and Catie followed the next year. They were engaged in Colombia a week before they left for Vietnam, which has been their home since 2011. Friends gathered from around the globe to celebrate their wedding day!" 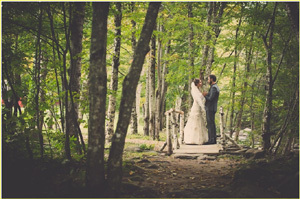 "It was a beautiful secluded woodsy wedding at Full Moon Resort in the Catskills of NY. 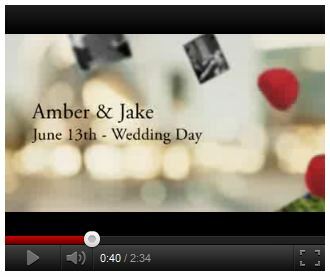 Here is a peek at their wedding day." "Another great day at the Full Moon Resort in Big Indian, NY. 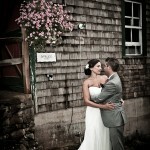 The Weather held out and cast a beautiful light on a great looking couple. There was fun for all. Great Music, Great Place, Great People." 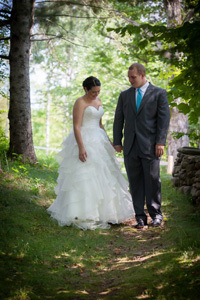 "Colleen and Zachary were married ... at the wonderful Full Moon Resort in Big Indian, NY. Even though it was slightly chilly we were all thrilled to have the ceremony beside the creek of a small field on the property. 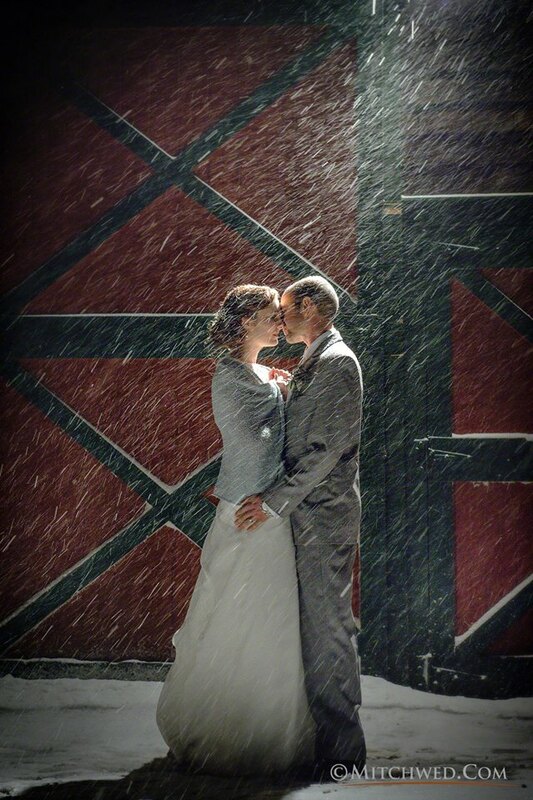 We did have some snow flurries come through which made for some really fun photos!" "It was our third time being at this beautiful venue and it never fails to disappoint.... We had a great time taking photos of Christina and Matt on this beautiful day. We enjoying seeing the two of them laugh together as we walked around the site. The reception was a great party with lots of dancing by all of their family and friends. And the night ended with a sparkler send off and after party!" "Even though Jill was born and raised in Brooklyn (Bay Ridge in the houuuse! ), she embraced a rustic vision for her day. 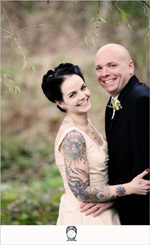 Joe and Jill met on OkCupid and were together for two years before they got engaged last May. Although, if you spend any time with them at all, you'd think they've been together for 10 years! They have such a natural connection, and several times throughout the day I caught them sneaking prolonged glances with each other. Made me smile every single time! :)"
"This past saturday in the Catskills was pure whimsy. It was a hearty, earthy, gracious, grateful, and deeply meaningful day. Belly laughs, wild flowers, vintage chic, twinkling lights, and a five piece band all blended together to create an overwhelming sense of home for the guests. It's what the couple wanted. Exactly what they wanted. Because it's who they are and the wedding reflected it." 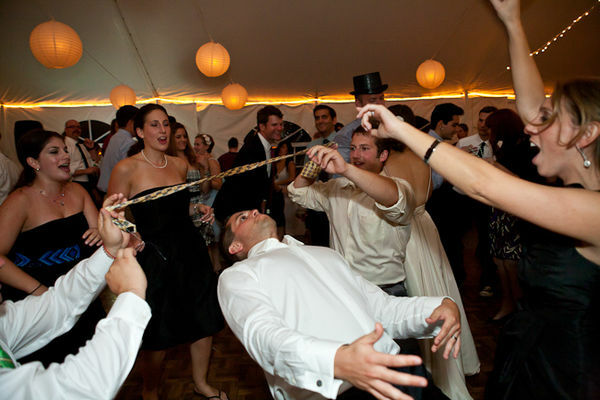 "Irit and Brendan wanted something different for their wedding. They live on manhattan so they wanted their wedding weekend to be a get-away for them and all their guests. And man what a weekend it was! It was great food and party for three days straight and I really felt like a part of the family after spending this amazing time with them. What a loving group!" 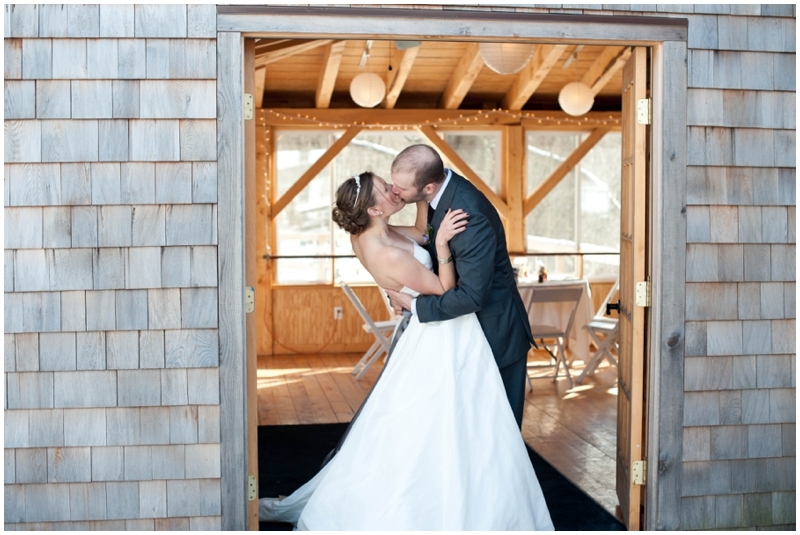 "It was a total honor to be included in Tracy & Mike's beautiful Winter Wedding at Full Moon Resort in Big Indian, NY. Everything about the day was beautiful and magical. There was even a light snow the entire time, as per Tracy's wish! " "From the Bride. 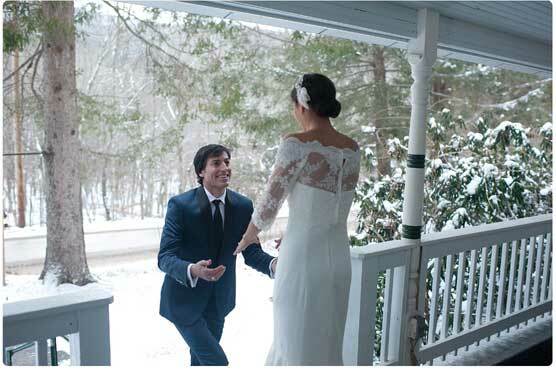 We wanted to get married somewhere in "upstate" New York as this is where our relationship began. Seeing as Phil's family and friends were from Ohio, mine from Pennsylvania, and our current location across the country in Oregon, we figured this was as good a place as any. My aunt found Full Moon Resort, and we fell in love with it." Review on Style Me Pretty online magazine! "When Christine and Bobby tied knot in Big Indian, New York, it was not an elaborate affair but the setting was so perfect that their wedding was absolutely fabulous." "When Kelly and Ben told me they wanted to have an outdoor ceremony on a brisk November day, I was skeptical. It was impossible not to feel the warmth that day, watching these two people with so much love and support." 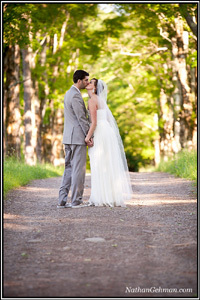 "Nicole and Mark, had a magical wedding at Full Moon Resort this past weekend. (I overuse that phrase ‘Magical” when referring to Full Moon, but it just is)." 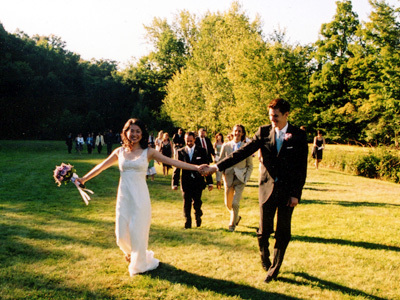 "Our ceremony was an integration of different spiritual traditions & elements that resonate with us. Our officiant & sacred fire keeper, both Mohawk elders, drew from the Mohawk tradition that is native to the very land upon which the ceremony took place. This tradition is deeply connected with nature, the elements, the directions, & the ancestors. We also welcomed the participation of an indigenous Peruvian friend, a sound healer, and a Native American song carrier." 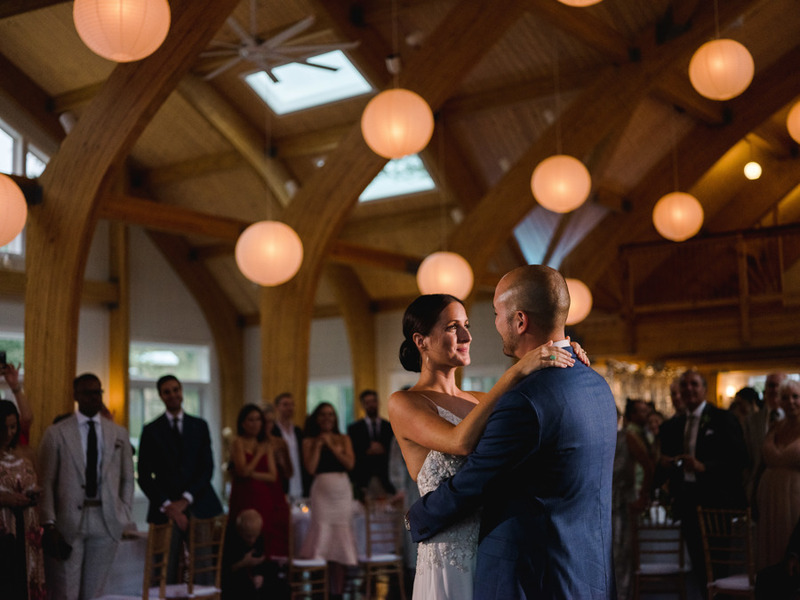 "Everything about Katie and Eric’s day was so perfectly them, from all of the intricate, hand made decorations to the acoustic metal band that serenaded them during the reception. I’ve never seen a couple more effortlessly at ease on their wedding day than these two. We didn’t want the evening to end!" 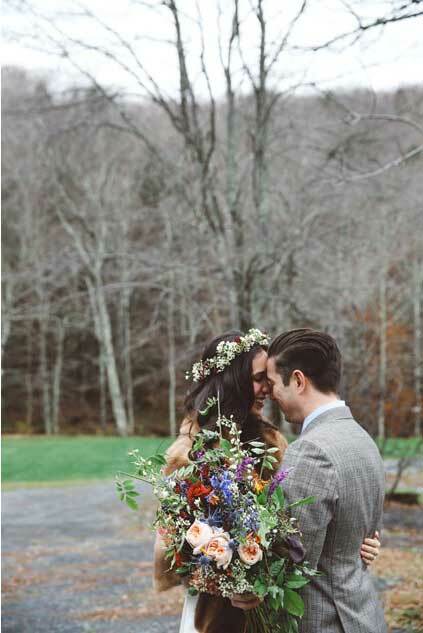 "Full of love, color, and eclectic handmade details, this upstate New York wedding is absolute perfection. Kristina and Dennis knew that they wanted a fun, laid back wedding, and the lovely Full Moon Resort was the perfect home-away-from-home for them and their guests." "..On the recommendation of one of my bridesmaids, we looked at some pictures online of the Full Moon Resort in Big Indian, NY and within two days, had put down money to secure a date with them. The Full Moon was the only venue we went to see and it turned out to be the perfect one for us. On the drive home from touring the venue, we picked our theme - Lichtenstein/'50s Romance Comic Books with a polka dots and stripes color palatte.."
And... watch the bride sing her heart out at Full Moon Roadhouse after her wedding! 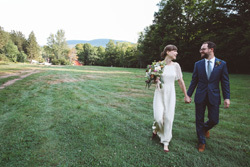 "A perfect September day for a Catskill Mountain Wedding. Such an enjoyable couple and family to spend the day with!" 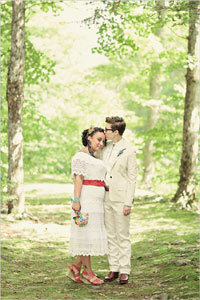 "Mari and Karen's wedding was one of the best we've ever been to! . but we might be biased because we also had the honor of being guests. :) Mari and Karen are two of our closest friends so we were thrilled to photograph their special day... Family and friends came together to create the most touching, creative and unique wedding ceremony and celebration. There were so many personal touches and thoughtful gestures... It was a fun-packed day - we bought our photo booth along, they had a instructor lead the square dancing and because most guest stayed overnight in cabins, we ended the wedding around the campfire and playing pool in one of the barns. We love these two! " " I first met Jeanette and Graham last year...for an engagement session complete with NYC skyline and a spin on an old fashioned Carousel. 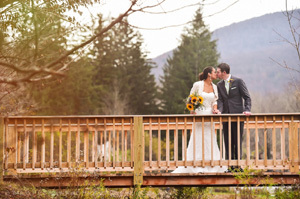 Although their mountain wedding at the Full Moon Resort in the Catskills had a completely different look, the love that these two had for each other was the same if not stronger then it was a year ago. What a fun couple to work with! Like most of the weddings I photograph, their friends and families came from all over the country and beyond to be a part of this wedding. " 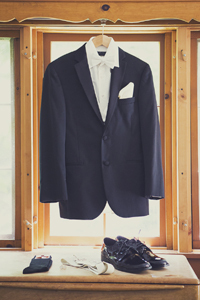 "When two artists call you to photograph their wedding, you know it’s going to be good! Especially when one of them is a fiber artist and will make by hand various elements of the wedding decor: the curtain tiebacks, the pillows. And when the other is a rocking dancer! And especially when the both of them are the nicest people ever, completely in love and surrounded by some of the happiest and loveliest friends and family. Such a great day!" 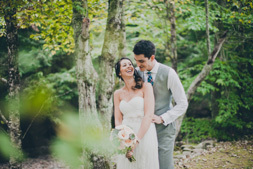 A truly inspirational wedding in the Catskill Mountains of NY! "It is an honor when a fellow photographer asks you to photograph them, especially something as momentous and once in a lifetime as their wedding... 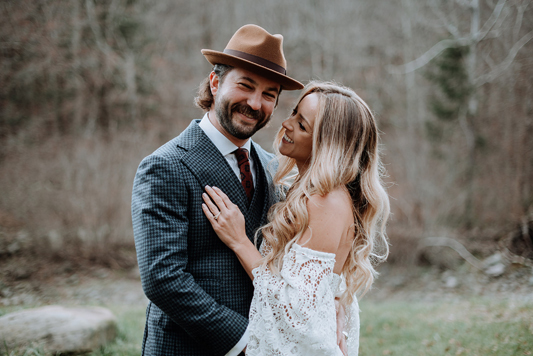 I was really honored when [Jordan] asked me to capture her day...... Lady and Mr. J were married at a beautiful resort in upstate New York, Full Moon Resort. Rolling hills, a rocky stream and lots of trees. We had a really great time working together." "I am so excited to share the photographs from my weekend in New York photographing a very sweet loving wedding ceremony! The whole weekend went by so fast, but so wonderful... 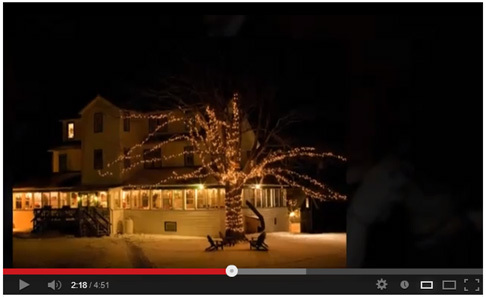 It is a beautiful nature resort set along the Esopus Creek in the Catskill Mountains. It is such a remote peaceful getaway... I could have just hung out by the creek and skipped rocks for hours." 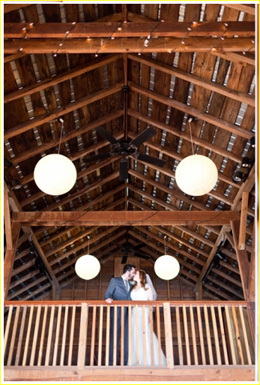 "Adi and Saar were married at the Full Moon Resort, in Oliveria, NY, on a day in late November. 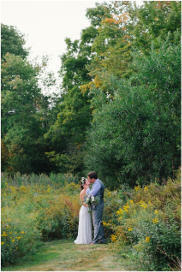 I love the look of a forest when the leaves are off the trees, and so did this couple. They wanted lots of outside portraits, and braved the chill to get them." "The weekend kicked off with a BBQ in the most beautiful barn which was then followed by a bonfire outside with family and friends. I am giving John’s Mother full credit for creating the perfect mood with her extraordinary s’more bar idea! Seriously, have you EVER seen anything more beautiful?! She even made homemade marshmallows! The table was stocked full with chocolate bars including my favorite Reese’s CUPS! I literally felt like I was inside a dream world. 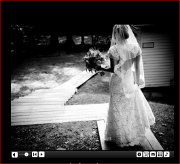 ......"
"We got married at Full Moon Resort in Big Indian, NY. It was a beautiful and crisp Fall day and we had the best time! 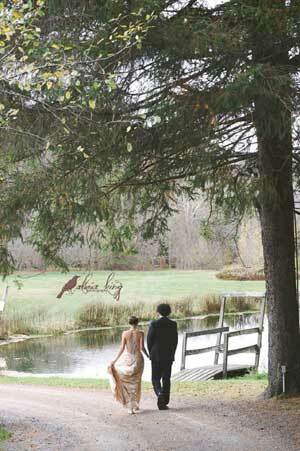 If you are planning to get married in anywhere near the Catskills, I highly recommend checking out Full Moon! The food was DELICIOUS, the resort is gorgeous and their staff are so organized, considerate and really professional." "... every now and then one couple stands out and touches your heart in a way that lifts your spirit. Andrea and Justin are one of those couples. We spent the entire day laughing, smiling and just having an all out blast." 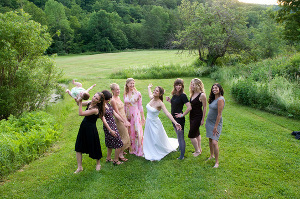 " Eben and Cynthia’s wedding... was at one of our favorite places in the Catskills, The Full Moon Resort. You can never go wrong with the gorgeous landscape of New York State. 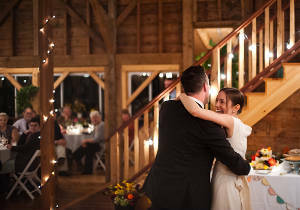 Eben and Cynthia’s story was an epic love story which took them 20 years....."
"One great thing about getting married at Full Moon is guests have the opportunity to reserve the entire place – cabins, music venue, bonfire, fresh water pool, grounds, etc – for a whole weekend, if they like. The day before the wedding, Emily saw this short bus driving by. She flagged it down & hired the driver to take her and her bridesmaids to the ceremony site. Quite an entrance." 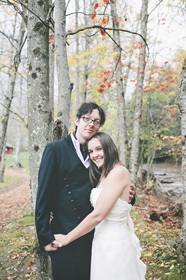 "[I'’d] been looking forward to Casey and Justin’s wedding at Full Moon, in the Catskill Mountains. It was everything I expected: stunning, relaxed and utterly joyful. The bride has a gift for finding four-leaf clovers, and found one without even looking right before walking down the aisle. That about sums it up. 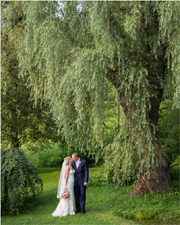 Congrats Casey and Justin – it was such a pleasure to be part of your day." 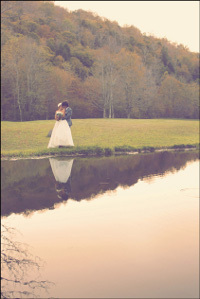 "Full Moon always delivers beautiful brides and a great location to shoot in. This was absolutely no exception. Kerry was pure joy, and Josh has the sense of humor to match...."
"Andrew and Leslie ... tied the knot on a beautiful summer day in the Catskill mountains... Full Moon Resort, with its 100 acres of fields, meadows, forests and streams, provided the perfect setting for a perfect day.... Andrew and Leslie, surrounded by a number of close friends... and family, celebrated the whole weekend long." "...Finally, the day came and, as I was driving up to Full Moon, it started to rain. But by the time I got there, it had stopped, and the sky was giving way to those thick clouds that cast a bright, even light over everything. When I went in to say hello to Emily, she said, “We’re going for it!” And we were all so glad because the ceremony in the Upper Grove was so beautiful......"
"Last Sunday we had the pleasure of making the flowers and cake for Andrea and Bruce's wedding at the beautiful Full Moon Resort in upstate New York. 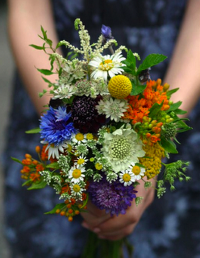 The bride and groom wanted a wildflower, freshly picked from nature looked (which we love! 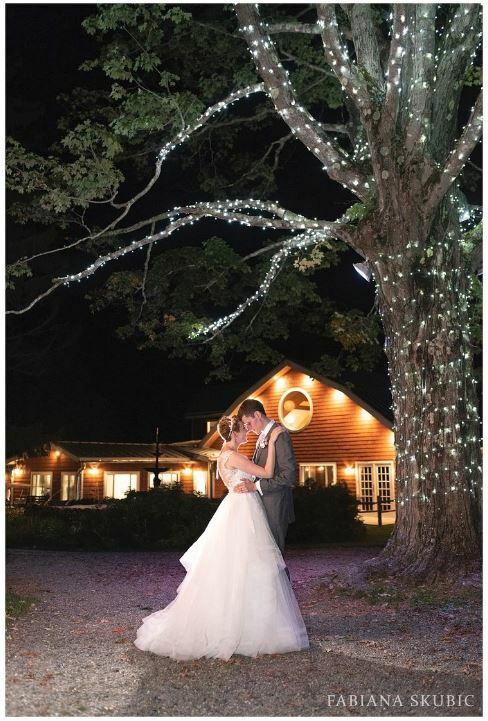 ), and worked perfectly with the outdoor ceremony and the amazing barn that the reception was in....."
"A year ago, Amber & Jake not only asked me to attend their beautiful wedding weekend, but to photograph it. I was honored. I will have to admit, during the ceremony I had to keep telling myself "there is no crying in photography" when I started to feel the tears well up." 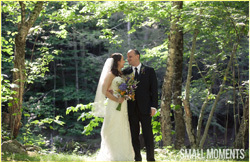 "Dara and Jesse’s country wedding at the Full Moon Resort in Big Indian, NY was incredibly cute. The combination of design simplicity and casual elegance jived well with the mountainside setting. And the two lovebirds had such genuine smiles the whole time, I bet their faces hurt at the end of the day!...." 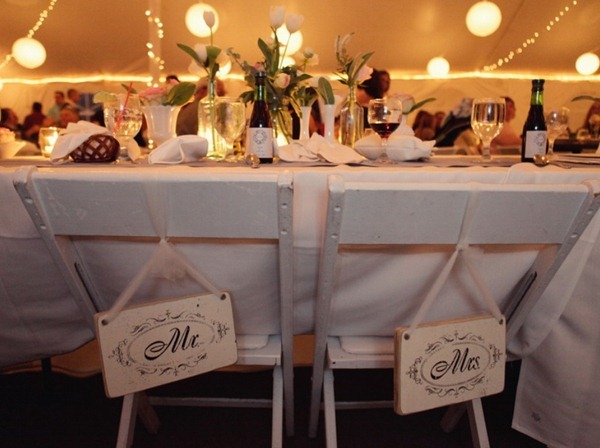 "What happens when it rains for your outside wedding? You take it inside. ‘'Nuff said right? Is your day ruined? Hell to the no. 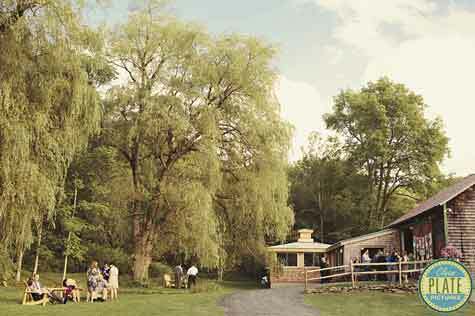 Just check out this super chic, yet rustic wedding that took place in May ... in Big Indian, New York." "....they gathered friends and families from four continents at the Full Moon Resort in Big Indian, N.Y. With the sun settling behind the crest of the nearest Catskill hilltop, Mr. Phillips took his place beside Rev. Keith Fiveson, an interfaith minister..... As Ms. Sexton emerged from a forest path in an ivory backless ball gown, the pretend Snow White truly resembled a fairy tale princess. That is, until she lifted her skirt to give her 103 guests a peek at red-sequined sneakers....."
" A soft, breezy, and beautiful autumn afternoon wedding on the grounds of the Full Moon Resort. " "This recap only hints at the toasts and ceremony audio and the reactions the words shared pulled from the crowd. As always, I can't wait to share the full length version...."
"Here's the deal... weddings are both hard and easy to shoot. On the one hand, you only have one shot at everything. On the other hand, everyone looks beautiful and in that way, they make it pretty easy to nail a stunning shot.... Full Moon is a glorious place to shoot. Enough said..."
" Lucy and Joe are a perfect fit. I suspected this immediately when I initially encountered them together for their "FIRST LOOK" and it became more and more evident as the day went on. Lucy's Yin curls up to Joe's Yang. Her moon softens his sun. Their ceremony was performed by Lucy's brother, Gordon, and it was tranquil, yet at the same time powerful. You got the sense that one cannot exist without the other, while each remain strong in their own right...."
"I am SO glad I am not alone in my love for stripes. If you put stripes on a skirt, purse, wall, or really any inanimate object I am automatically smitten. This lovely bride, with fabulous taste I might add, has the same affinity for all things striped and decided to make it a central design theme for their wedding......"
"Really, from the beginning we weren't sure what type/size wedding we wanted to have, but when we realized it was going to be on the larger more expensive side, we felt it conflicted with our values to have so much consumption and waste for a single party. So we decided that if we were going to be spending all that money, we at least wanted it to go to support things and people that we believed in, which to us meant being a good local business who supports their community and respects the earth. It was one of the main reasons we picked Full Moon....."
"Everyone had such an amazing time at this wedding….from hysterically funny speeches to musical performances, and short films (this was a seriously talented group of people). There was a bbq rehearsal dinner, a gorgeous ceremony, and after parties every night. And all this before the really fabulous wedding reception........"
" Liz and Paul’s wedding was at the Full Moon Resort in the Catskills over the fourth of July weekend. They live in Missouri, but wanted a place where they could celebrate all weekend with family and friends, and Full Moon had it all: a beautiful setting, with great food, and comfortable rooms. 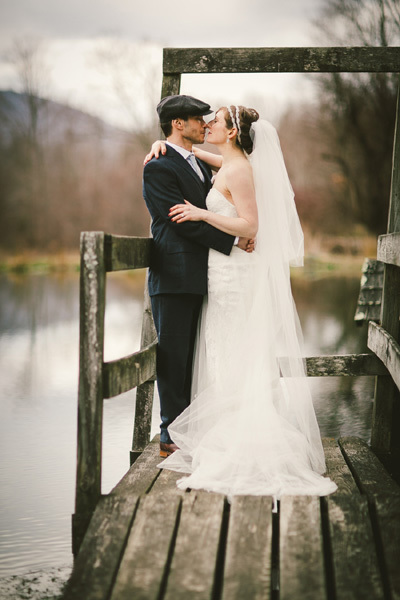 Their wedding was classy with lots of little vintage touches......"
"We got married in the Catskill Mountains over a 3-day getaway, kidnapping our guests so they could join us in the world of our own we created at Full Moon Resort. 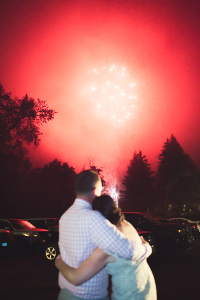 Our wedding festivities started with a very mellow casual 4th of July BBQ, one of our favorite holidays." "This family wedding weekend at the Full Moon Resort in New York was adorned with sprays of wildflowers, antique garden tools, and a father's vintage bottle collection. 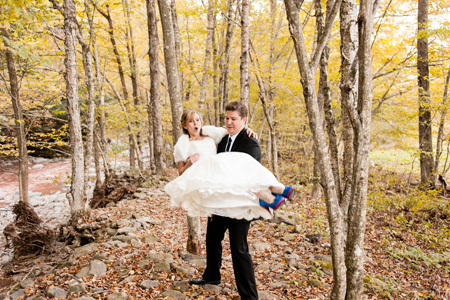 After the ceremony, the adventurous couple wanted to kick off their shoes for a refreshing walk in the brook that runs through the property." 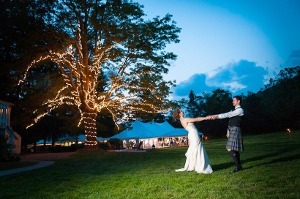 "Patrick and Jennifer were married at the Full Moon Resort in the Catskills in July. Prior to the wedding they spent months creating personal touches for the day: they hand-painted signs, found antique cake & pie platters, and they even had a signature drink. There was much beauty in the details." 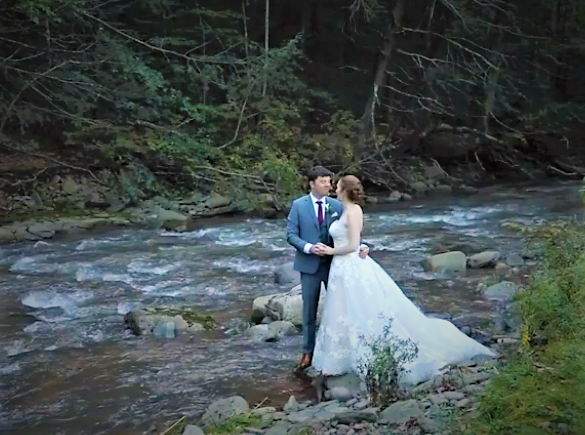 " The ceremony was about as perfect as it gets being back in the woods next to a little stream with Adrienne and Sandy’s closest friends and family. This was followed by cocktails on the lawn, a dinner reception in the tent, and then to “The Party Barn” for dancing with a really great rock-a-billy band Adrienne and Sandy found in New York City...."
"So I wanted to finish my post about our 3 day weekend we shot in the Catskills. The whole weekend was held one location, which made it really nice for all the family & friends that decided to stay up. The event took place the Full Moon Resort, in Big Indian. 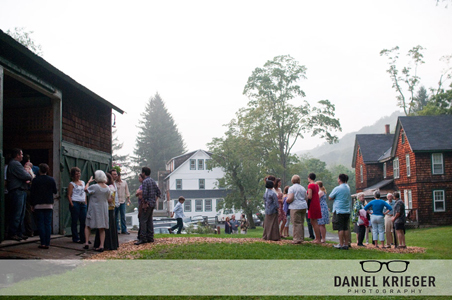 On Friday guests arrived & greeted one another, getting better acquainted before the big day. The day ended with dinner in the nearby barn followed by dancing & a bonfire. On Saturday, the day started with yoga followed by a large buffet breakfast....."
"Jeremy and Amanda are amazing. Seriously,... They embrace life and it just seems to spill over when you are near. 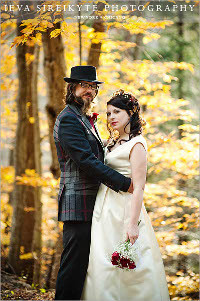 They got married in the Catskills at the Full Moon Resort. It was three days of fun, family, and celebration..."
"Stories about a couple who discover, then lose, and who ultimately find one another again are told only in books and on movie screens, right? Wrong. That’s exactly the way the story goes for Lovisa & Christopher, a wonderfully warm and sincere twosome who have found the deeper meaning of a love cultivated over years of time. You can see how perfectly matched they are for one another by the way they laugh, hold one another, and care for their families....."
"...as you can see, the dancing went late into the night, starting at the reception tent and moving into what Full Moon Resort calls their “Party Barn” but seems to be a full-on bar and dance hall. DJ friends rock. 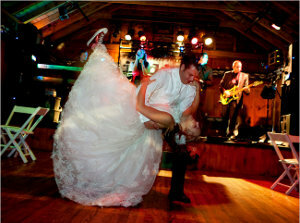 I’ve never heard such great music at a wedding....." "Full Moon Resort is an extraordinary place to have a wedding. I just can’t say it enough. 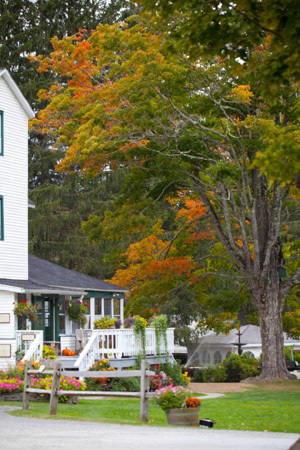 It’s a little off the beaten path but worth the drive (which is stunning in its own right!)." 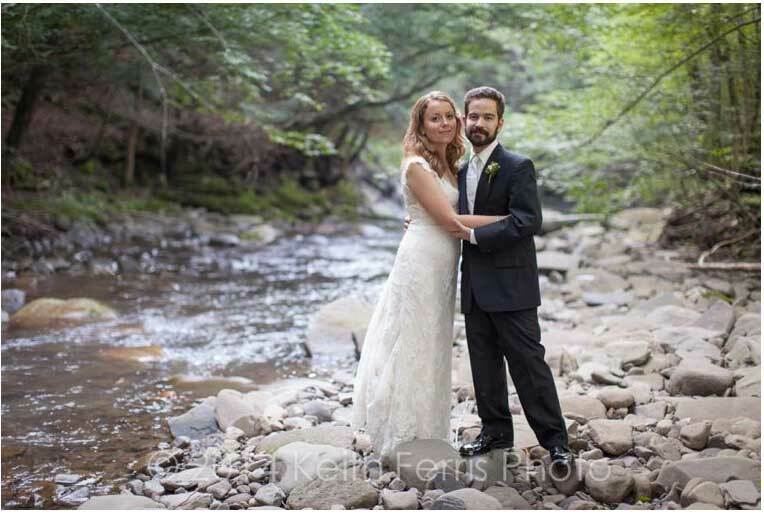 "Back in June I photographed Heather and Bryan’s wedding in the Catskills! 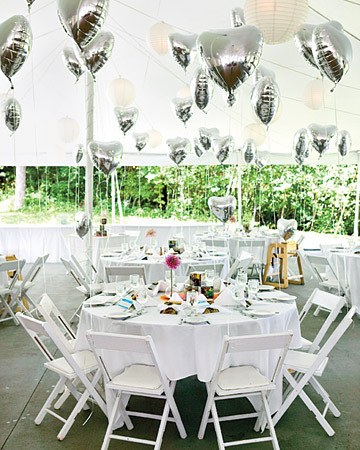 They wanted a country rustic affair and Full Moon Resort in Big Indian NY provided just that. We ended up with some rain on the day of and unfortunately right before their ceremony was to take place. We stayed in doors as much as possible to keep from the weather, but still had a wonderful time shooting for Heather and Bryan! Here are my favs from the day!" 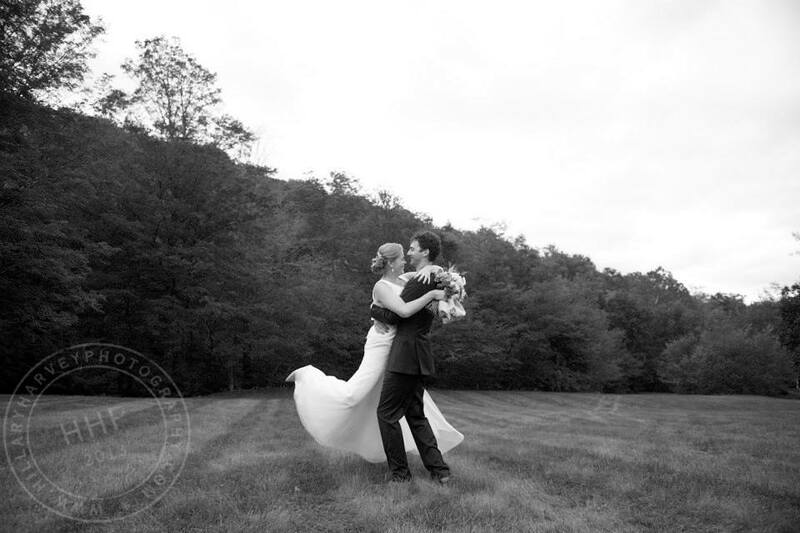 "Photographing Seth and Claire’s wedding at Full Moon Resort in the Catskills was amazing. It was a beautiful summer afternoon for their outdoor wedding, and the summer light cast a wonderful glow over the happy couple. 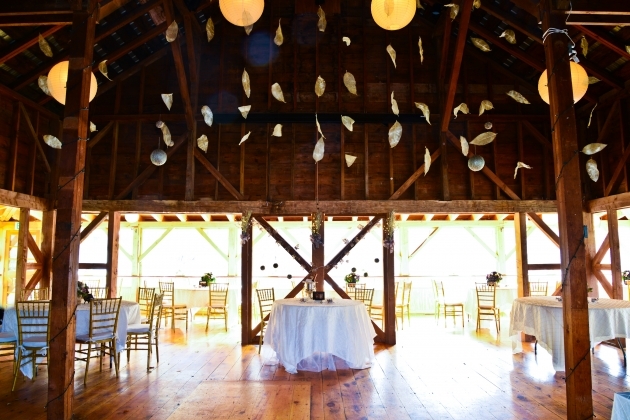 I loved the reception held next to a gorgeous, renovated green barn – it made for a relaxed setting while still adding charm and country style to a wonderful occasion." 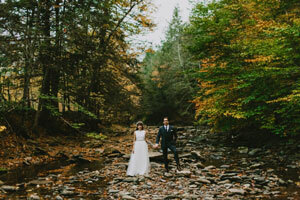 "May and Matthew Love allowed me to tag along during their wedding day so that I might get a shot or two at Full Moon in the Catskills. It poured. 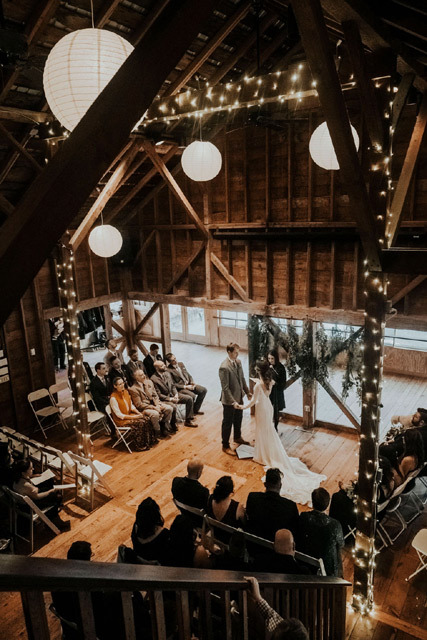 The spirits of the bride and groom, combined with gorgeous grounds yielded some beautiful shots that not even torrential downpour could bring down...."
"The ceremony in the barn was rustically lovely and warm. 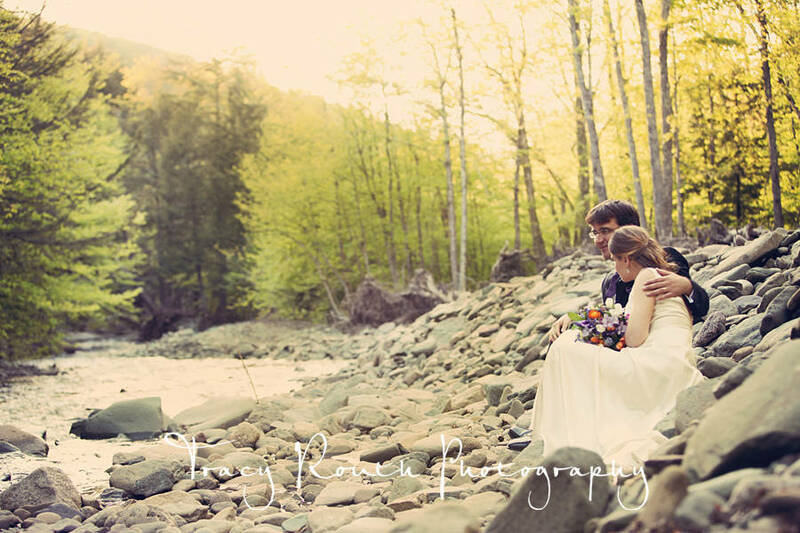 After the ceremony, we did some group formals outside by the creek.... The wedding reception was a lot of fun with lots of dancing. 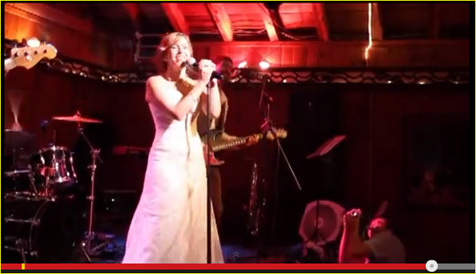 Afterward, everyone moved over to the resort’s Performance Space for some spirited karaoke...."
"What do you get when you mix together the autumn-leaved Catskill Mountains, a sunny day, singing and laughter? Dory and Jon’s wedding! Dory & Jon met through eHarmony, and they are just so obviously RIGHT for one another...."
"Courtney and Erik arrived at the Full Moon Resort in a vintage yellow Volkswagon bug. The weather had cleared, allowing guests to mingle on the front lawn.... 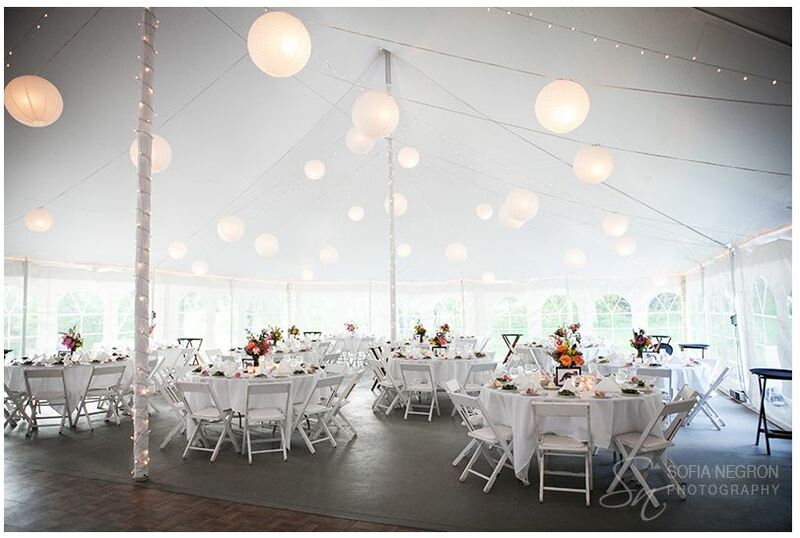 The tent was decorated simply with cranberry trim and ribbon, candles at each table, allowing the surrounding natural beauty of the Catskills center stage. Black and white wedding photos of Courtney and Erik’s parents and grandparents adorned the gift table, setting a tone of family love and fun that is so much a part of who the couple is...."
"We shot the whole weekend in the lovely and amazing Catskills mountains at the Full Moon resort. From a backyard bbq to kick ball followed by a water balloon toss this was one of the most fun and not to mention touching weddings ever!"